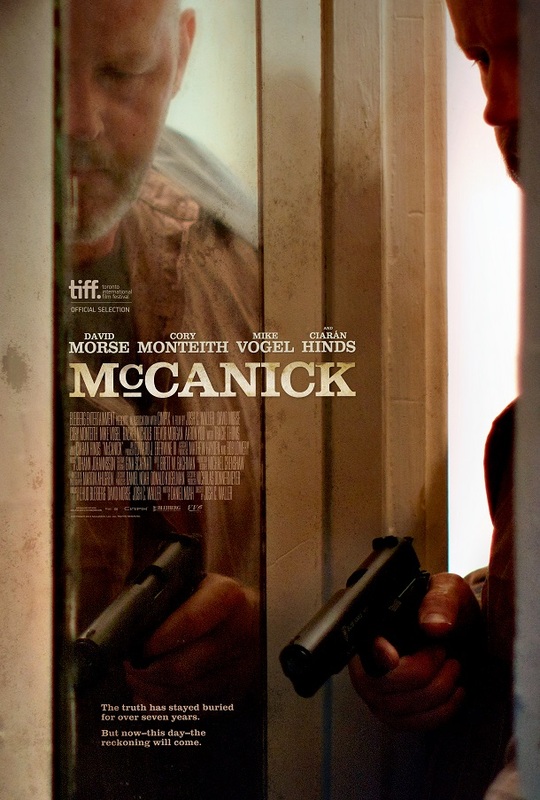 David Morse and Cory Monteith give chase in Josh Waller’s gritty crime drama McCanick. What appears to be a chess-like cat and mouse game introduces the audience to the underbelly of life on the streets and under a badge. In search of a hidden truth Detective McCanick (Morse) hunts down a criminal from his past, Simon Weeks (Monteith), after he is released from prison. The poster highlights a reflection of McCanick with his gun drawn entering a doorway. In a world of deception who do you trust? Sometimes the quickest way to the truth is to look at the reflection in the mirror. In what will surely hail as one of Cory’s best career performances, audiences will celebrate this film with heavy hearts. It is a haunting tribute of a life lost too early and so tragically. Reminiscent of so many other stars gone before their time each leaving one final beautiful piece of art. May this film be Cory’s masterpiece giving us the chance to remember him for the amazing talent he was. McCanick will premiere on September 9th at the Toronto International Film Festival. Comments for Official Poster for McCanick are now closed.